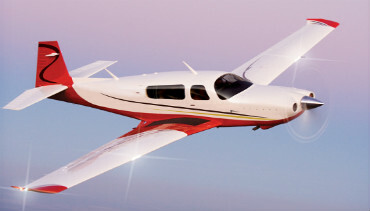 Mooney International Corporation has announced the company has begun the long-anticipated production of the first new Mooney Airplane since 2009. The assembly line will begin to move later this month, on 26 February. Since announcing the return to the market in November, after a five-year production hiatus, the new leadership at Mooney has been busy preparing the dormant company to return to manufacturing. The Company employs more than 55 people at the Kerrville operation that is going through a major transformation of improvements. The company continues to upgrade the facility and has invested in new manufacturing equipment. There is also a strong evolution toward building a more technologically based manufacturing facility that will add to production efficiencies. The first product that will come off the production line in 2014 will be a M20TN Acclaim Type S (pictured). The newest Acclaim models will maintain the TSIO-550-G-Turbo Normalised engine and include an upgraded Garmin G1000 Integrated Avionics Suite. Dr. Jerry Chen and the team at Mooney aren’t the only ones excited about the future. MAPA, the Mooney Airplane Pilots Association, is hosting their annual Homecoming Convention at the Kerrville Airport, next to Mooney facilities on April 10 – 13 to help celebrate the comeback of Mooney. In appreciation of the Kerrville’s support of Mooney, the Company factory will open its doors to the entire Kerrville public and host tours through the manufacturing facility during the MAPA Homecoming event.